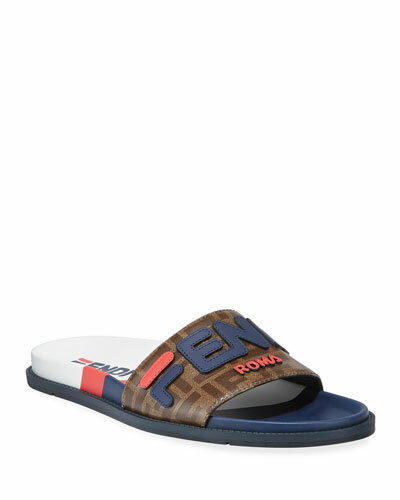 All it takes is the right footwear to elevate your look to new heights; Fendi men’s shoes are ideal for the job with superior construction, exceptional fabrics, and cult-status motifs. 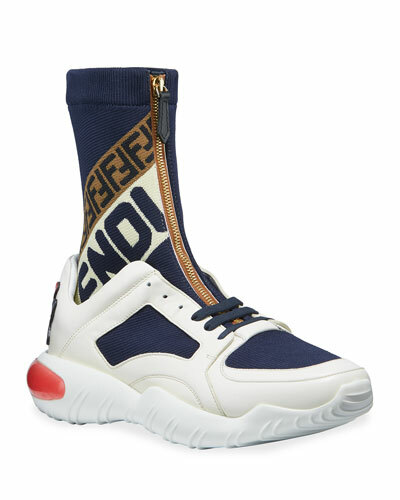 From classic trainers to cool high-tops, Fendi sneakers are a favorite among collectors. 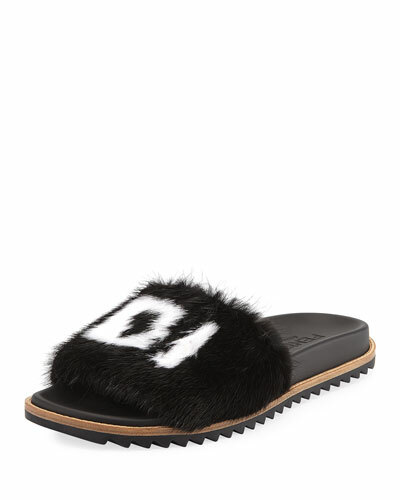 Particularly popular are the famous Fendi Monster shoes. 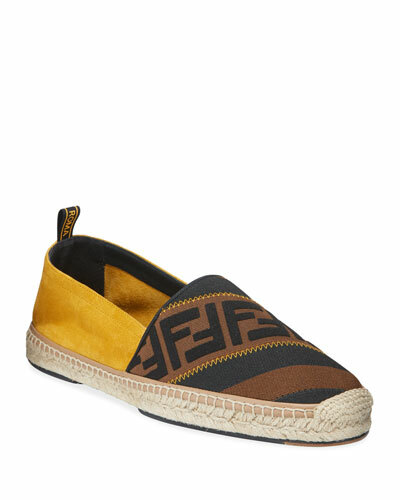 The iconic monster eyes adorn all manner of styles: espadrilles, slip-ons, and more. Court-side seats present a wonderful opportunity to don the latest in luxury sportswear; complete the look with any of the Fendi sneakers. Sophistication with a healthy dose of wit is perfect for an evening of cocktails; wear a pair of Monster-adorned smoking slippers, glaring eyes and all. Plenty of non-Monster styles will add polish to your wardrobe, too. 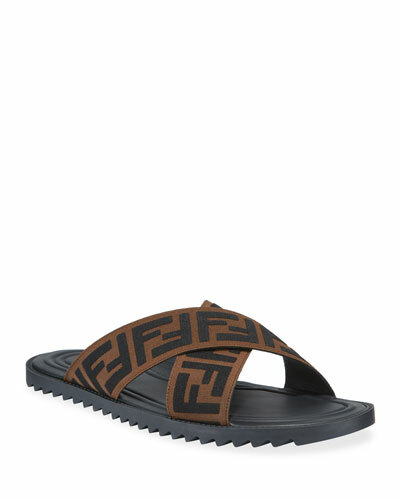 Try a sandal/sneaker hybrid for summer days or an old-school high-top with contrast stitching or colorblocking. 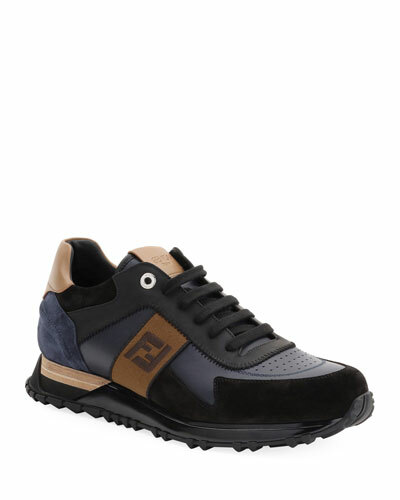 The house’s allure is apparent in Fendi men’s shoes: high-quality, fine-Italian craftsmanship, and unexpected, opulent details. 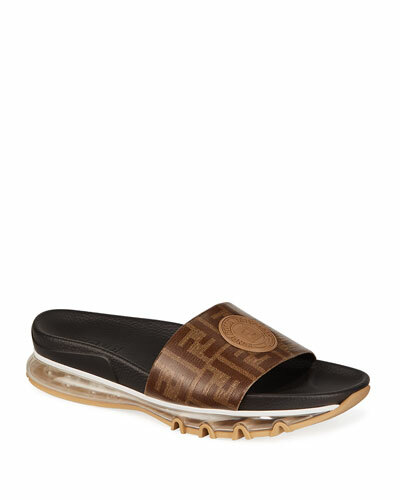 Refresh your wardrobe now — shop Fendi shoes at Neiman Marcus. adidas PureBOOST knit fabric trainer in sock-like construction. Reinforced, round toe. Lace-up vamp. EVA midsole inserts for lightweight cushioning. Boost™ midsole keeps every step charged with light, fast energy. Rubber outsole for traction. 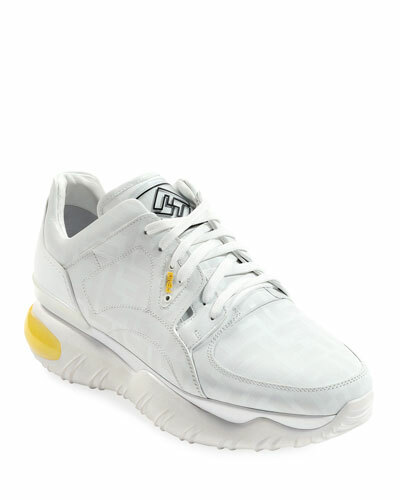 adidas men's sneakers with leather trim. Knit upper. Round toe. Lace-up front. Leather logo label at tongue. Signature 3-Stripe sides. 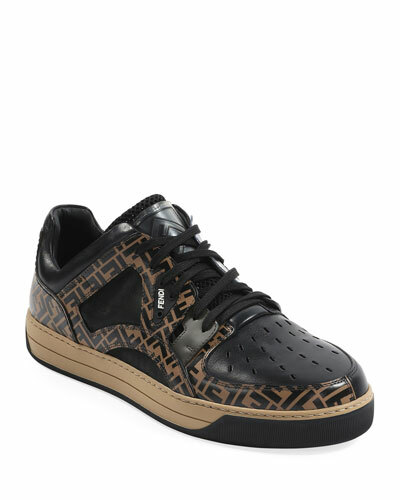 adidas men's sneakers with leather trim. Knit upper. Round toe. Lace-up front. Leather logo label at tongue. Signature 3-Stripe sides. Cushioned insole. Rubber outsole. "Sobakov" is imported.